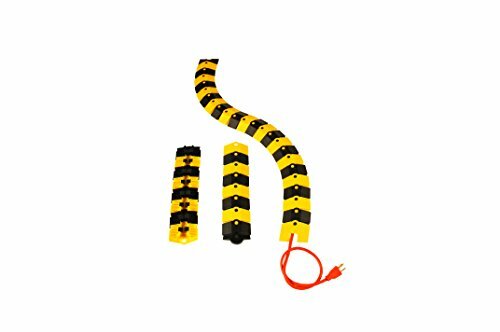 UltraTech Ultra-Sidewinder cable protection can help reduce the risk of fires from walking on loose cables, and those covered with tape or rugs. 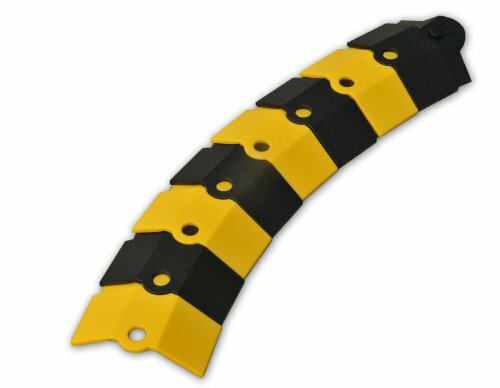 Articulating pieces offer flexible design - curves, corners, and curves are easily made while maintaining a completely flat profile. 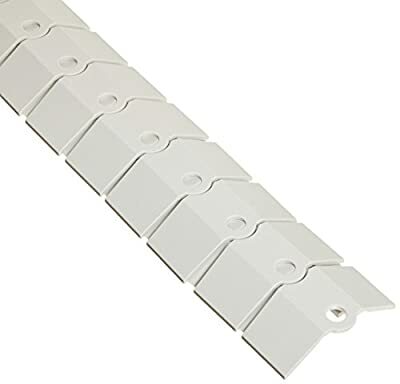 Modular design makes it easy to reconfigure, repair, and replace targeted segments, even while the cable remains connected. 3/4-inches (19-millimeters) wide by 3/8-inches (9-1/2-millimeters) high cord channel. Assembled system (with cord in place) can be coiled for easy portability and transport. 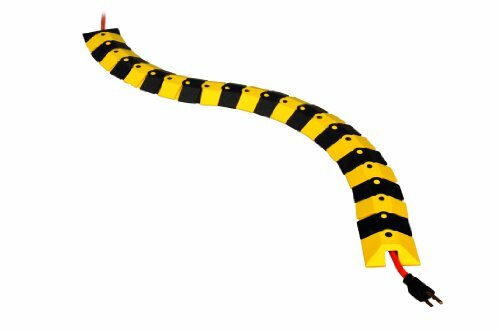 The Ultra-Sidewinder Cable Protection System is designed for office or light industrial settings. The system is to be run on flat, stable surfaces, and is not designed to span gaps, holes or trenches. The system will allow a car or pickup truck to cross slowly (less than 5MPH), but is not designed for commercial motor vehicles, powered industrial trucks, or any other structure with rigid wheels. It is resistant to aqueous acids, alkalis, concentrated hydrochloric and phosphoric acids, alcohols and animal, vegetable and mineral oils, but is damaged by glacial acetic acid, carbon tetrachloride, aromatic hydrocarbons, concentrated sulfuric, nitric acids, esters, ketones and ethylene dichloride. Body segments and end caps comprised of ABS plastic, with Santoprene rubber tabs. 1-Foot extension system. Measures 12-inches length by 3-inches width by 3/4-inches height. Gray color.